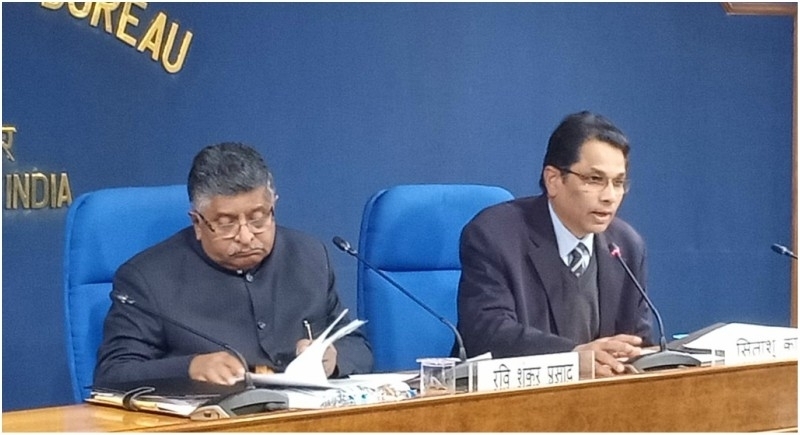 New Delhi, February 8: Envisioning a digitalised environment for the people in Jammu and Kashmir and Maoist affected areas, the Cabinet on Wednesday gave its proposal to Prasar Bharti's "Broadcasting Infrastructure and Network Development" scheme for three years. The scheme would engage people with the distribution of 1,50,000 DTH sets in remote and Maoist-affected areas and setting up of FM transmitters along the India-Nepal and Jammu and Kashmir borders. "The CCEA gave its approval to the proposal of the Ministry of Information and Broadcasting regarding Prasar Bharati's 'Broadcasting Infrastructure and Network Development' scheme at a cost of Rs 1,054.52 crore for 3 years from 2017-18 to 2019-20," an official release said. It said that Rs 435.04 crore will be spent on the continuing schemes of All India Radio and Rs 619.48 crore for such schemes of Doordarshan. The continuing schemes of AIR and Doordarshan are at different stages of implementation and are scheduled to be completed in phases. The release said provisions have been kept for modernisation of existing equipment in studios which are essential to sustain the ongoing activities and also for High Definition Television (HDTV) transmitters at Delhi, Mumbai, Chennai and Kolkata. "Setting up of digital terrestrial transmitters (DTTs) at 19 locations and digitisation of studios at 39 locations, DSNG (Digital Satellite News Gathering) vans at 15 locations and upgradation of earth stations at 12 locations have also been approved," the release said. The cabinet also approved the launch of DD ArunPrabha channel from Itanagar to fulfil the aspirations of people of the northeast region. It said that in addition, 1,50,000 DTH sets have been approved for distribution in different states in the country which will help people in the border, remote, tribal and Maoist areas watch Doordarshan's DTH programmes. For All India Radio, the scheme provides for FM expansion at 206 places, and digitalisation of studios at 127 places is envisaged. The release said that FM expansion programme will let another 13 per cent population of the country to listen to AIR programmes. It said that 10 KW FM transmitters would be set up along Indo-Nepal border while 10KW FM transmitters would be set up in Jammu and Kashmir border and these will significantly improve radio and TV coverage along the border areas.